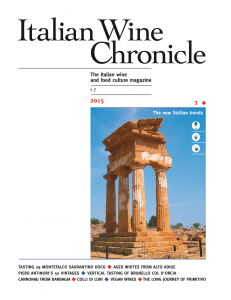 Welcome Italian Wine Chronicle readers. We are proud to present a new means of communication, created to communicate Civiltà del bere’s 40-year know-how on a global level. This historic Italian wine magazine is experiencing an exciting relaunch after undergoing a careful and brilliant restyling. In this age of lightning-quick digital communication we know how important it is to be able to refer to a serious and professional magazine that tries to put this sea of information into some kind of order; information that is guided by many different interests, but is not always honest and clear. 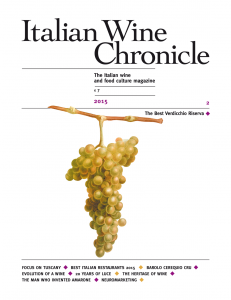 This is what Italian Wine Chronicle aims to do. It is the English version of Civiltà del bere, spread all over the world in digital format and a tool that can be trusted. But we mustn’t forget from what point of view we will be telling you about our world in a captivating and passionate way: through the eyes of those who, in New York, Hong Kong or Sydney, are used to tasting, buying or selling wines from all over the world. Therefore, with all the love we have for our beloved Italy, but without being provincial. In this very rich first edition, we will be giving you some idea of how we intend to keep you up-to-date. All of this is embellished by our new graphics, which naturally are inspired by the style of Civiltà del bere. We hope therefore that you will find Italian Wine Chronicle a useful and pleasant read, and a way of keeping up-to-date about Italian wine, from the inside. 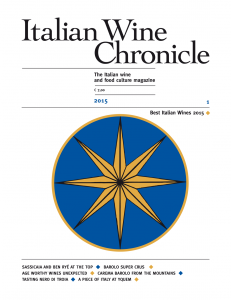 You can read or upload the 2015 edition of Italian Wine Chronicle magazine.